One Person Killed in Crash of Small Private Plane, One Undergoing Treatment at Local Hospital :: RickeyStokesNews.com! 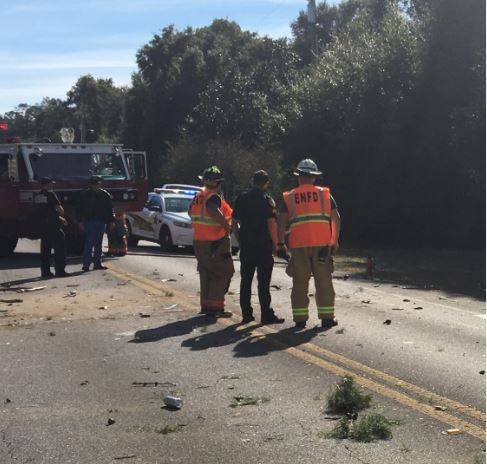 One person has died and another is undergoing treatment at Fort Walton Beach Medical Center following the crash of a small private aircraft on Forest Road near Niceville yesterday afternoon. The call of a two seat airplane down between Jason Drive and Golf Course Drive near Rocky Bayou came in around 12:43 p.m. Two people were removed from the aircraft and taken to Fort Walton Beach Medical Center where one died shortly before four p.m. The plane is believed to have gone down shortly after taking off from nearby Ruckel Airport. The FAA is investigating the cause of the crash.